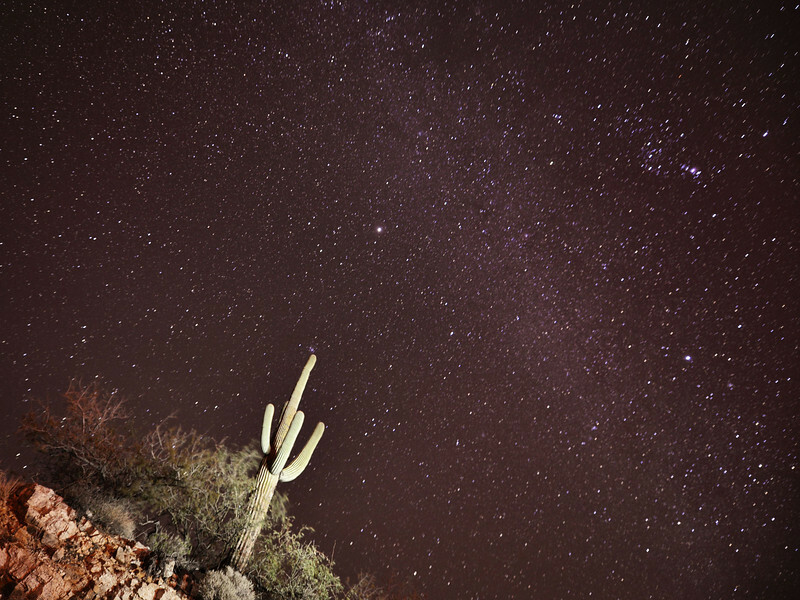 Taken at the Babad Do'ag lookout along Catalina Highway in Tucson. Although I didn't plan this, last year's photo was from the exact same spot. Today's photo was taken much later at night, however. I spent a lot of time working on really long exposures - 30 minutes - but I wasn't happy with the results, mainly because of sensor noise. I ended up cranking the ISO and leaving the lens wide open for this, which is only about 1 minute. Any longer and the star trails become really obvious.